I’m a bit disappointed in a fellow blogger’s decision this week, and I want to explain why. It’s your Friday bonus post. Everett Bogue turned off comments on his Far Beyond the Stars blog. Do you think that’s a good idea? You can tell me what you think in the comments section below, but you can’t tell him very easily because he doesn’t want you wasting time with him anymore. While that sounds admirable, I don’t really like this approach very much. Of course, Everett’s blog belongs to him, and he can do whatever he wants with it. And perhaps I’m not couching his decision to eliminate comments from his blog in the most positive terms, but you can read his post announcing this and decide for yourself. Most of the reasons he lists under “Further reasons for eliminating comments on your blog” are valid. It’s true that many blog readers never comment anyway. It’s also true that many people comment to promote their own agendas, and it’s true that self-professed blogging gurus Seth Godin and Leo Babauta eliminated comments on their blogs. But I’m unsubscribing from Everett’s Far Beyond the Stars because blogs without comments are boring. I unsubscribed for Leo’s after he made the decision, too, and I’ve never subscribed to Seth’s. I’d like my blog to have lots more comments, actually. They prove to me people are reading and prove it to other readers. Comments hold me accountable, too. If I say something that isn’t true, isn’t smart or isn’t so bad, you can tell the world about it right here, right now — on my dime. And I don’t mind people promoting themselves in the comments section of my blog. I hope you don’t consider blog commenting a waste of time, as Everett says he does, but if you do, I hope you’ll stop doing it. Everett still has the right idea about many things. His Minimalist Business ebook (which I almost didn’t buy — see my post about that here) is an important piece that explains why some of us live nontraditional lives and how you can make it your business. To me, however, commentless blogs are lifeless and uninteresting. I consider commenting on other blogs a worthwhile activity that both supports others who are on journeys similar to mine and also helps me. I like everyone to be successful, however, and I hope Everett finds success with his new blogging model. But I also hope it isn’t a trend. Now, everyone, tell me what you think. I value your opinion, respect your ability to decide how to allocate your time and will always have time for you. I think that’s the right way for me to run a community. I totally agree Gip. It just reminds me of the whole “with great power comes great responsibility” saying. If you don’t want to have to deal with comment spam, do something else. Everett’s post rubbed me the wrong way by saying the decision was “for his readers’ benefit” right after saying less than 1% of his readers commented. I’ve been feeling a little burned out on minimalism blogging recently and there have been a few things like this that have further contributed to that. I know our blogs are a fraction of the size of his, but I really cherish every comment I’ve received and it takes me maybe a grand total of 15 minutes a week to deal with the spam. You’re right, Brett, and I’m glad you agree. Everett’s post rubbed me the wrong way, too. I probably spend much less than 15 minutes on spam. He does have many more readers than we do, but he got them by providing good content and a nice experience. One of my favorite grocery stores has a fresh soup bar. About a year ago, they changed the way they computed the prices for soup, raising the cost. They put up a sign that the change was “for your convenience”. Why can’t people just honestly state their real reasons and accept whatever comes with that? I have to say, I love comments. Yes, some of it is about promoting your own blog, but that is done by connecting with others. I feel there is a little community and comments are where the interaction happens – I think you can get to know other bloogers more by their comments than by their posts! I agree blogs with comments are more interesting to see. We get to learn so much from people’es comments. Kate and Dia — Thanks for commenting, as usual. I appreciate my loyal readers like you. I hope Everett changes his mind because he has a well-written blog. Meg — Your post is great! As I said on your blog, it’s much more creative than mine. I’m glad to have you here. I’m with you. I know my regualar commenters feel that they are part of a community at my blog and I like it that way. When I welcome a new commenter I always refer to the welcome coming from US and how WE appreciate their input. It is only me writing my blog but the WE & US are a reference to my readers and I as a community. I even have a favourite five comments each week because there is so much useful information that can be found among the comments which give me and my readers a more rounded view of the topic of my posts. I fact if I didn’t get the great comments and questions I get from my readers some days I wouldn’t have anything to write about. They give me so much fodder for post topics and since I write every day I would run out of things to write without their help. Ah well! We are just the little guys I suppose who still think our readers have something to contribute. I totally agree. Turning off comments is the same as shutting down conversation. It is the antithesis of all things blog. I am out here for the conversation. I work in education. If I just want to hear what someone else has to think I’ll pick up printed material. A book gives me no avenue to reply or converse with the author. I don’t even follow Twitter folks for long if there is no dialogue. If someone just wants to shout into the wind, never having their thoughts or words challenged, I have no need for them. It’s lazy and arrogant. Yet, his right. Colleen — You’re right. It’s about community, and every reader matters. Thanks for continuing to be one of mine. Caileigh — I think you’re right, too. Blogs are meant to be interactive, as far as I’m concerned. And welcome to the conversation here. I’m glad to count you among the commenters of this community. I’m glad you’re here now. Comments are a good barometer of how clearly I’m putting my ideas across. How do we know we’re staying relevant without timely feedback? Everett’s a thoughtful guy; if he’s gone down a blind alley on this one, I’m hopeful he’ll shift course. i am not sure of the direction my blog will take if it had the comments section switched off. i’ve met amazing people through this medium and believes comments promotes networking, interaction and as you’ve mentioned holds one accountable, not forgetting providing valuable feedback. Jacki and Ayo — So far, everyone on my blog agrees about the importance of comments. Of course, I suppose frequent commenters like us would agree. I do hope Everett changes his mind. Hi Gip, first time to your blog, I saw it from Meg’s (Minimalist Woman) post – Everett’s post rubbed me the wrong way. He’s not going to care what I think, which is fine, but to me it seems like a cop out to discontinue comments because he basically doesn’t feel like dealing with them anymore. He writes that only a small percentage of his visitors leave a comment anyway, and that for those comments, he already rarely comments on them so it’s not much responding “work” for him to do. At the the end of the day, it’s his blog and I get value from some of his posts and I respect his right to use his blog as he pleases, but personally I think the comments section is something that establishes a sense of community among various people. Reggie — Thanks for joining us. Truth is, I can do without Everett’s blog. I need to pare down the list of blogs to which I subscribe anyway. He has made his less appealing to me, so I’ve unsubscribed. But if you don’t have a blog or have more than 140 characters on your mind, you’re out of luck. Your mention that comments hold you accountable is true even though we do not want to admit it. Some comments inspire you to do better whilst others make you wonder what you did wrong. It is a free choice to be a blogger and that same choice applies to commenting. Being a commentator makes you reread the article for a clearer understanding of what was written. If not you tend write with your foot in your mouth. I guess being in the big league with thousands of comments is where we all would like to be but the only reason you are there is because of your readers. And your readers only voice is their comments. Perhaps it is a marketing concept? If so I hope it does not backfire. You’re right, Andre. I hadn’t thought about it, but I do read articles closer when I plan to comment to make sure my point relates correctly. So those of who do comment are sometimes better readers. I’m glad you’re here, Andre. You always have something great to say. A friend just emailed me your blog response because we talked about Everett’s post. I can understand why people comment less on my blog if something big is going on in someone’s life…like a big project, training for a marathon etc. I also comment less or answer comments on my blog when I have something happening like a family event etc. It seems to me the people who close comments are saying, I don’t have time for your opinion anymore or I don’t care what you dear reader have to say…because I’m too busy with creating stuff to sell you and then I’m also busy enjoying life while I spend the money from the stuff I sole you. I do understand the more successful one becomes to respond to all comments becomes impossible but what about responing to one out of 20 comments? This is just my opinion today and who knows how I’ll feel tomorrow. I’ve built a community through comments and I wouldn’t be a blogger without them. Also I enjoy reading comments and I look for friends avatars and sometimes skip right to their comments. Tess — It’s nice to have you here and commenting. I look forward to hearing more from you. So far, all of the commenters on this post are on pretty much the same page. Both of which are false and just a BIT arrogant. I think you’re right, Jess. I’ve been accused of being a bit arrogant, but I’m happy to display opposing points of view. I think Everett is on the wrong track, and I see no signs of it changing. Well said. And Jess hit the nail on the head why their blogs dry up after their e-books no longer sell well enough to help support them. Everett is not the first to make that error, hopefully he will be the last… perhaps he will rethink it as others have. I’m afraid you’re right, Anne. Everett may be numbering his days by cutting off communication. But there is a chance he will change his mind. For all we know, Everett doesn’t know we’re having this conversation or that anyone thinks his decision is a mistake. With regard to the “My voice is the only one worth hearing on this topic. I have spoken.” attitude, I think if you re-read Everett’s posts you’ll discover that this somewhat reflects his attitude from the beginning. I’ve seen him mention over and over (in e-books, blog posts, etc.) that you should basically ignore anybody that disagrees with you. He’s even said in a few blog posts (the one about the oil spill and how everybody should get rid of their cars comes to mind) that if you don’t like what you read, you should just unsubscribe. Turning off comments is just the final step in creating the perfect echo chamber. Thanks for joining us here, Robert. I’ll check out your blog in a few minutes. I have noticed Everett’s arrogance, but I accepted that as part of his style for a while. I’m a bit arrogant at times, so I suppose I understand. There’s no point saying something if you don’t believe it strongly. However… I genuinely like interacting with my readers, and I can’t imagine losing that channel of communication. I think achieving some level of success may have confused him into thinking he’s “made it” and doesn’t need anyone else anymore. 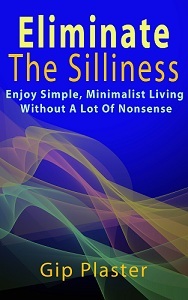 I read his minimalist business ebook but I didn’t like it. I would prefer to listen to the ideas of someone who had built another buisiness with prior experience and writes about sustainability in that context, not solely on minimalism. There will be a time where making money on minimalism will be unsustainable. It’s similar to how many gurus make money online solely by teaching other other people to make money online. I, too unsubed from his site because I felt like I already understood his message all too well, it was just reiterated in different ways which is not a bad thing (everyone does it really) especially when done creatively but he was just so focused on sending out the very same specific signal forcefully. BTW- found your site via minimalist women! I’m glad you’ve found me. I hope you hang around. I say something interesting sometimes, and so do my commenters. I think Everett has some interesting things to say, but I you’re right: I’ve heard them now. They’re predictable and don’t have much experience behind them or much hope for sustainability in the future. Still, his book is useful, but like all sites and books, it is limited. Joining the chorus, here. I’m old-fashioned, I like to read books, magazines, newspapers I can hold in my hands. Ink on paper. But I do read blogs, and it’s because of the two-way communication. If I think a print author is a genius or a dork, or if I have information that would contribute to their work, I’ll probably never get around to telling him/her. But with a blog, I can shoot off a reply with no trouble. Isn’t that one of the things Internet communication is about? One thing, from his picture, Everett looks pretty young. Maybe he still has a few things to learn. I like your blog, it’s on my A-list, the ones I check several times a week. I think turning on comments is something only a huge blogger that has “made it” can get away with and still thrive. Notice that Leo and Everett didn’t get popular with comments disabled. Comments helped them build a community and build relationships, but their blogs have become successful enough that they decided community is expendable. Kinda makes you wonder what their true motives are. I like how Everett is telling people they can “still comment” by writing about his posts on their blogs. That way he can still get attention from your blog’s audience, but you can’t get any from his. Nice. Not really. When someones business model is rehashed first year business in any junior college in the country, it is pretty obvious. Snake oil salesmen change little over the decades… only the oil they sell changes with the era. Turning off comments after you are popular is like pulling up the ladder after you have climbed up. Blogs are partly about the conversations; that can be repetitive and that’s OK. It’s mainly about the community of blogging. A blog without comments is a memo. I receive emails from the A-list bloggers club – the latest gimmick to get you to join (and help Leo’s bottom line) is “Secrets that we don’t share”. Nice. It’s not a secret that the A-list bloggers share and promote amongst themselves. Leo mostly posts guest blogs these days. Does anyone else feel that the A-list blogs are now more like marketing webpages? I am always amused when the johnny-come-latelies are referred to as ‘a-list’ tho(none of the new crop seem to have been around more then 2 years)… the ‘A’s were the (mostly British) back to the woods crowd of a few years ago. First minimalist bloggers of their era. Now died out. Considering the attention span of US media in general, these will last a shorter span… There are a couple good writers among them, Francine comes to mind, who will survive… but most will be gone in a year or two. Thanks for the new comments, Jes, Dave, Anne and Jess. I joined Leo’s A-Listers for a couple of months, but the whole thing seemed spammy and useless. They sent me lots of emails about what they were doing and about how to confuse and double-talk readers into doing something. And during that time, his Number 2 Mary posted a post about how to sweet-talk her into a guest space on her blog by stroking her ego rather than asking outright — and it all sounded so silly. So I left. They’re just trying to make a few dollars, which the are entitled to do, I suppose. We all seem to be in agreement here. I almost wish someone would speak up and offer another side. I will offer a different perspective. I had a blog for a couple of years and by the end would get 30-40 comments on every post. I had no advertising and no plans to make money from the blog – it was just a bit of fun. In the beginning it *was* fun – I could interact with people from all over the world, I got new ideas for more posts and I felt part of a community. However as my readership grew I had no time to deal with the comments – i was spending an increasing amount of time dealing with comments and emails – some of which were becoming increasingly demanding and critical, pulling me up if I went ‘off-topic’, American readers demanding translations from Australian to American English etc. It stopped being so much fun and I felt like I was writing for the commenters not for myself. having said that – Everett’s post rubbed me up the wrong too, especially as I am one of those ‘soccer mums’ he told to unsubscribe from his blog a while back! Thanks for the comment. It’s nice to hear a different perspective. I’m surprised there haven’t been more people disagreeing with me. I can see how a blog could become overwhelming, and I think you did the right thing. If it isn’t serving you, stop and do something else. I’ve stopped in at Everett’s blog a couple of times since I read this post and it’s getting rather weird. I think I left at the right time. I don’t mind a bit of arrogance (I’ve been accused of that), but he doesn’t do arrogance well. ps – I too am a soccer mom (a UK version) – enjoying the comments and will be back for more! Wow, what a kick off to me getting up to speed with your blog! I very much appreciate both your forthright honesty and follow through and you obviously touched a nerve as the comments were just as thought provoking and full of life. I have to say I agree, I’m a relatively new blogger and I can’t imagine not having the feedback on what I am sharing, is it Truth with a capital T? Does it matter? Do they want to hear our take on a certain topic? To echo a fellow commenter, heading toward designing an echo chamber sounds about as effective as pad locks on every door in a house, great way to stay safely insulated from the outside world, its influence, both good and bad. But at some point your going to need to open up the locks and door and windows just to let a little light and oxygen in! Thanks for joining the conversation on this topic, Gena. Of course, you couldn’t have done that on a blog with no comments — and I couldn’t have discovered your blog! this comment thread has got to be the most interesting comment thread I have read out there! gip you have an amazing community here and I commend you for speaking your mind! This post definitely touched a nerve with some bloggers. Ironically, however, I know of at least one more blog that has turned off comments since I wrote this. I can’t remember the name of it. I immediately unsubscribed and wrote the writer and told her why I was doing it. Couldn’t agree more- commentless blogs lose something very special. I haven’t stopped subscribing because I didn’t start until he ‘d already turned off the comments. This is now and old post in terms of blogging but can I say that in retrospect if Ev B had kept the comments he wouldn’t be losing the plot like he now seems to be. There is still an occasional good post but mostly by his own admission he’s writing at a level us mere mortals cannot really understand anyway. He will try and still write down to us from time to time but his proper work will go on letter.ly which you have to pay $25 per month for the privilege of reading. He says that only very special people should subscribe to this because the rest of us aren’t ready for it and it could be too, too much. Vomit!!!! I checked his blog a couple of weeks ago and I was surprise by how much it had degenerated. Thanks for joining the discussion here, Deb. I’m off to check out your blog now. I’ve unsubscribed. I felt sad doing it, but I no longer relate to the writing. I still think that there were some amazing posts over at FBTS, and I will re-read the archives with nostalgia. I wish Everett well, wherever he is going. I e-mailed to wish him Good Bye and Good Luck. You’ve probably made the right choice, Jo. wow, i didn’t know it went that far. it’s too bad he’s lost touch with his readers. I’m glad some of the other big bloggers are still writing for us commoners. i.e. tammy strobel and leo babauta. I think Everett Bogue is a pretentious, exclusionist douche-prick. I always got that vibe from him, but now that “ev” has become a “cybernetic yogi” and I just think WTF. power to him, but I think he’s a bit of conceited. Although his posts on minimalism can be very well written sometimes. He’s simply gone off the deep end now. The really interesting thing about Everett is that for all his amazing discoveries I can’t see much in his works that’s original. I’ve tried believe me because if there’s some amazing life shattering discovery I can’t stand to think I might miss out. 2. He likes having a passive income from his ebooks ( and now letter.ly) so that he can do his yoga and hang out in the pub with people who get him. wow, you seem to have really caught the essence of ev’s message. weird…it doesn’t seem very impressive when you put it that way. I think the problem with the message is that most of us don’t want to live that life style. it just isn’t widely applicable. 3) Everybody can do what I do, and anybody who doesn’t is either too lazy, stupid, or scared to make the easy choices necessary. It’s not an Everett manifesto if it doesn’t involve insulting everybody who doesn’t agree with him. What’s really interesting is that in one of his recent posts he pretty much claims to be the originator of the idea (“Remember two months ago when everyone thought I’d lost my mind when I started to talk about cyborgs/augmented humanity? Then suddenly Eric Schmidt and Amber Case start talking about the same thing”). In other words, from his point of view, Everett started the whole trend. Somebody with enough going for them to be able to give a TED Talk (Amber Case) is apparently the follower. Never mind that Amber Case has been working on this stuff since early 2008 – well before Everett had even started his blog. Doesn’t matter though, as his blog is going to be vanishing on February 15th – everything old will be purged, except his Minimalist Business e-book. Looks like I won’t be reading through the archives in a flurry of nostalgia then after all! I’ve just checked out his blog. He doesn’t appear to just be saying he originated it, he appears to actually think he did… I hadn’t realized he had gotten this… bad. I think you sum it up pretty well, Deb! Thanks for bringing up the issue. I live for my comments 😉 Without them I’d feel like I were blogging in a vacuum. Exactly, Miss Footloose. I like to interact with my readers, and I can’t imagine blogging without the feedback and reactions. Thanks for joining the conversation on this one! Blogs without comments are just echo chambers..not everything has to be spirited debate – even an enthusiastic “I agree, and here’s why” adds to the conversation. Cheers to you, Gip. Thanks for commenting. You’re right. Even simple comments add to the conversation. And complicated responses aren’t necessary either. I am new convert to leading a simpler life. My first google on minimalism led me to Ev Bogue. I am not a expert on becoming a minimalist in any sense of the word but was put off by his blog from the first couple of paragraphs. (my degree is forensics and I have been known to spot a self-serving, arrogant, “I’m cooler than you” person in a heartbeat) I don’t subscribe to any one blog but do read this one and similar ones that are more down to earth, “I’m still getting the hang of this” type blogs. I am lazy at checking email anymore. I am also much older than Mr. Bogue and have grown children older than him. There is much he can learn but that comes with aging. I am not discounting him because he is young, but because he has a surly attitude. Anyway, I love this blog for much needed insight without making me feel like the country mouse. Alas, I am blogless but may become brave one day. You assessment of Everett is perfect. (He still had all the letters in his first name when I first wrote this post.) I’m a bit older than he is, and I can see the immaturity in his writings, too, although I haven’t read anything from him since I wrote this post. Thanks for being part of the conversation. It’s nice to have you here. Gip, I too was mad at the Everett when he disabled comments I had just discovered his site last summer. He is now too elitist to even give out an email. He took down his site and has a subscription plan now. I used to love reading his material now I cannot stand it due to his snobbery heh. I have noticed other blogs like castles in the air take off commenting once they reach a certain level of stardom and I eventually quit checking them. Because the comments do matter. I read Castles in the Air by email so I didn’t even know comments were turned off comments. (Actually, I GET it by email, but I don’t always read it.) Anyway, time for me to unsubscribe if comments are disabled. That’s contrary to what blogs are all about. Everett once wrote great stuff. It’s a lesson for us all in how a few strange decisions can derail something great. I will commend Bogue for having the guts to go after what he wants. I also am quite a bit older than he is and find him amusing. He’s a train wreck waiting to happen and he is now soliciting funds from anyone willing to give them to him. His attitude rubs me the wrong way, his “cybernetic yogi” persona rubs me the wrong way, his Fiber Pit “I’m with technology attitude” rubs me the wrong way; in fact, nearly everything about him rubs me the wrong way. About the only reason I read anything by him now is to see just how far he will go! I was surprised to hear about his recent solicitations, Scott. I don’t follow him anymore, but I figured him out months or years ago! I appreciate you joining the conversation on this one. This post seems to be getting a bit of attention again. 2) If you are as tech savvy as you say, why don’t you get a job working for a tech company? 3) You have books online that are sold. Why are you constantly asking for donations? Are these books no longer selling or not being sold? Also, if you can preach (errr, spew) like he does, doesn’t it make sense to listen? All this FEAR he talks about…I will ask this, “Are you a man? If so, why don’t you stop whining about how in fear you are and stand up and do what you have to do? I recently noticed this chick Gwen Bell, another chick, like the pussified douchebag Bogue, who is begging for money so she can do “the work”. I asked Bogue several times what this work is and never got a response. He may well have some very good ideas but personally I think alot of what he says and how he acts towards others is complete rubbish (horseshit). I’m not the first person he’s banned from posting, all because I asked him questions he was unwilling to answer. Oh well, I can do without Ev Bogue 🙂 My guess is he’ll be out on the street in short time, at least if he doesn’t want to work at McDonalds (Chipotles?). Thanks for commenting, Scott. I really don’t know what Everett does these days, but I hope it’s working better for him. Dissatisfaction is an unpleasant thing.